GENEVA | BASEL (April 11, 2019)—While Fridays for Future protests underline a global dissatisfaction with the continuing failure of governments and industry to protect the climate, the setting of the Doomsday Clock hands to 2 minutes to midnight in January 2019 signifies a continuing high risk of a nuclear clash with disastrous consequences for human beings and the planet Earth. But devastating climate change and the risk of a nuclear war will not be prevented unless the international community tackles the economic and political influence of the fossil fuel and nuclear weapons industries: this is the crux of the message expected to emerge from an international conference organized by the Basel Peace Office and taking place in Basel, Switzerland on April 12-13, 2019. “Companies manufacturing nuclear weapons and producing fossil fuels are making billions—if not trillions—of dollars fostering a nuclear arms race and destroying the climate,” explains Australia’s Dr. Keith Suter the logic behind the conference titled Move the Nuclear Weapons Money. He is Economics Futurist and member of the Club of Rome. The conference is part of the move the nuclear weapons money campaign which is gaining traction around the world, says a press release. “Already a number of sovereign wealth (national government) funds, pension funds, city and state funds, banks, universities and religious organisations have decided to end their investments in the nuclear weapons and/or fossil fuel industries,” says Thies Kätow, researcher for the World Future Council, one of the co-sponsors of the conference. Legislators including mayors, city councillors and parliamentarians, financial managers, civil society representatives and experts in disarmament and climate change are attending the conference, which is focusing on socially responsible investment (SRI) as a powerful tool to shift this economic and political power. SRI includes divestment, that is, ending investments in nuclear weapons and fossil fuels, and re-investing in sustainability also described as impact investment. “Through divestment, we can put pressure on the industries to change,” says Dr. Ute Finckh-Krämer, Council Member of Parliamentarians for Nuclear Non-proliferation and Disarmament and former Deputy Chair of the German Parliament Subcommittee on Disarmament and Arms Control. “Such action highlights the immorality (and stupidity) of making vast profits on the destruction of the planet. It also gives support to legislators who are trying to adopt and implement policies for nuclear disarmament and climate protection,” adds Dr. Finckh-Krämer in a press release. The significance of the conference is highlighted by UN Secretary-General António Guterres’ warning in the letter on June 30, 2018 to member states and the UN staff that the world body is $140 million short of its budget and could run out of cash, due to late and non-payment of UN dues by member states. The Union of Concerned Scientists pointed out then that the cost to extend the lifetime of each U.S. Trident nuclear missile is $140 million, the same amount as the UN shortfall. “If the US retires just one Trident nuclear missile from their arsenal, the money saved could be used to wipe out the current UN deficit,” said Alyn Ware, Global Coordinator for Parliamentarians for Nuclear Non-proliferation and Disarmament (PNND) and Co-founder of Move the Nuclear Weapons Money. 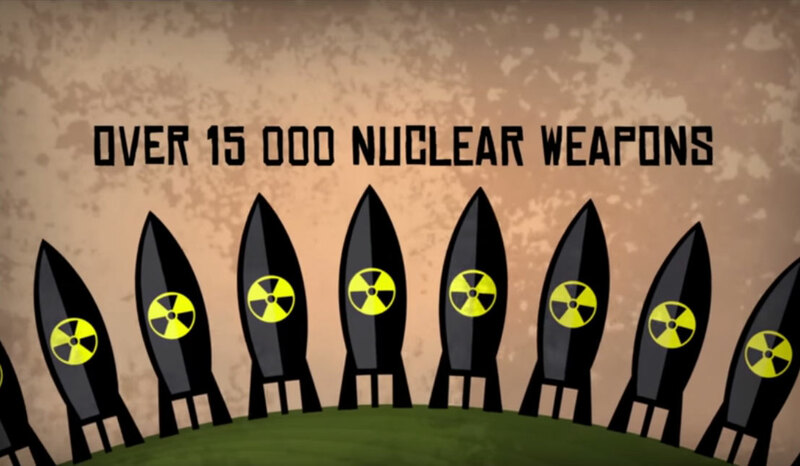 “Better yet, if all the nuclear armed States abandoned their plans to upgrade current nuclear weapons and build new weapons and delivery systems, nearly $100 billion could be saved. This could then re-directed into the economy for job creation, climate protection, education, health, peace, diplomacy and sustainable security,” added Ware then. BASEL, Switzerland (April 12-13, 2019) — Nuclear weapons and climate change create existential threats to humanity and the environment. Federal governments have committed to eliminating both threats—nuclear weapons through the disarmament obligation in the Non-Proliferation Treaty and climate change through the Paris Agreement. However, implementation of these obligations is being prevented by institutional inertia and vested financial interests in the status quo, especially from the fossil fuel and nuclear weapons industries. Corporations involved in the nuclear weapons industry, for example, actively lobby their parliaments and governments to allocate even more funds to nuclear weapons. And they support think tanks and other public relations initiatives to promote the ‘need’ for nuclear weapons to be maintained, modernized and deployed. Basel Peace Office has joined with other partners in launching Move the Nuclear Weapons Money, a global initiative to cut nuclear weapons budgets and investments, and reinvest these in climate protection, peace and key areas of a sustainable economy, such as education, renewable energy, health, job creation and sustainable development. One of the most effective tools for non-nuclear governments, cities, universities and civil society is nuclear weapons divestment. Such action puts economic and political pressure on corporations to abandon their involvement in the nuclear weapons industry or convert such production to civilian purposes. Similar divestment from the fossil fuel industry can assist in cutting carbon use and supporting renewable energy. 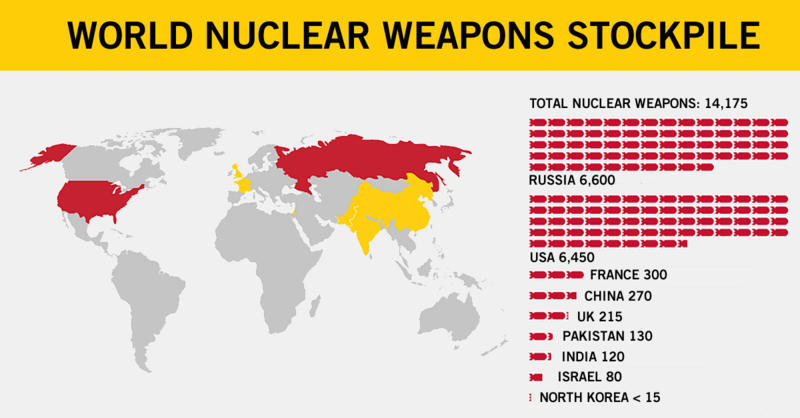 Already several governments, cities, religious institutions and universities in Europe, USA and globally have adopted nuclear weapons and or fossil fuel divestment policies. These include the Swiss War Materials Act of 2012, Berlin city policy on non-investment in armed warfare, Göttingen University policy of non-investment in fossil fuels or nuclear weapons, Cambridge MA city policy of divesting from nuclear weapons, and the UK Quaker meetings divestment from fossil fuels. Additional impetus for nuclear weapons divestment comes from the 1996 International Court of Justice opinion on nuclear weapons, United Nations adoption of the Treaty on the Prohibition of Nuclear Weapons in 2017 and the UN Human Rights Committee affirmation in October 2018 that nuclear weapons violate the Right to Life as codified in the International Covenant on Civil and Political Rights. This conference will bring together legislators (mayors, city councilors and parliamentarians), financial managers, and experts in disarmament and climate change to examine successful divestment policies and support their expansion and replication. The conference will also address impact investment and build cooperation to advance related nuclear disarmament policies. The conference will build upon previous Basel events including a European Regional Meeting of Mayors for Peace and PNND held in January 2019, the 2019 Basel Peace Forum which focused on impact investment, and an international conference in Basel in September 2017 on Human Rights, Future Generations and Crimes in the Nuclear Age. Mayors, city officials, parliamentarians, financial managers, policy analysts, experts in nuclear disarmament and climate change, university students and nuclear disarmament campaigners from Europe and North America, with a focus on Switzerland, Germany and France. The conference will consist of six sessions, two on the afternoon of Friday April 12 and four on Saturday April 13. The Friday sessions will be public and consist of presentations followed by Q&A from the audience. The Saturday sessions will be restricted to conference participants and will be in seminar workshop format. Daniel Rietiker, Lecturer in International Law at the University of Lausanne, President of the Association of Swiss Lawyers for Nuclear Disarmament. (April 15, 2019) — The U.S. Congress has begun debate on the FY2020 military budget. The FY2019 budget for the US Department of Defense is $695 billion dollars. President Trump’s budget request for FY 2020 would increase it to $718 billion. Spending by other federal Departments adds over $200 billion to the total “national security” budget ($93 billion to Veterans’ Affairs; $16.5 billion to the Department of Energy for nuclear weapons; $43 billion to the State Department; and $52 billion to the Dept. of Homeland Security). These sums don’t include the interest on US debts incurred to fund past wars and military buildups, which boost the real cost of the US Military-Industrial Complex to well over a trillion dollars per year. Depending which of these sums one counts as military spending, they already eat up between 53% and 66% of federal discretionary spending (interest payments are not part of this calculation because they are not discretionary), leaving only a third of discretionary spending for everything else. At the April 4th NATO summit in Washington, the US pressed its NATO allies to increase their military spending to 2% of GDP. But a July 2018 article by Jeff Stein in the Washington Post flipped that on its head and examined how the US could fund many of our unmet social needs by instead reducing our own military spending to 2% of GDP from its current 3.5%-4%. Stein calculated that that would release $300 billion per year for other national priorities, and he explored some of the ways those funds could be used, from balancing the federal budget to eliminating child poverty and homelessness. But Riedl was being disingenuous. Only one eighth of the post-Cold War increase in US military spending is for pay and benefits for US troops. Since US military spending bottomed out in 1998 after the end of the Cold war, inflation-adjusted “Personnel” costs have only risen by about 30%, or $39 billion per year. But the Pentagon is spending $144.5 billion on “Procurement” of new warships, warplanes and other weapons and equipment. That is more than double what it spent in 1998, an increase of 124% or $80 billion per year. As for housing, the Pentagon has slashed funds for military family housing by over 70%, just to save $4 billion per year. The largest category of military spending is “Operation and Maintenance,” which now accounts for $284 billion per year, or 41% of the Pentagon budget. That’s $123 billion (76%) more than in 1998. “RDT&E” (research, development, testing & evaluation) accounts for another $92 billion, a 72% or $39 billion increase over 1998. (All these figures are inflation-adjusted, using the Pentagon’s own “constant dollar” amounts from the FY2019 DOD Green Book.) So net increases in personnel costs, including family housing, account for only $35 billion, one eighth of the $278 billion per year rise in military spending since 1998. A major factor in rising costs at the Pentagon, especially in the most expensive “Operation and Maintenance” portion of the budget, has been the policy of contracting out functions traditionally performed by military personnel to for-profit corporate “contractors.” This outsourcing drive has been an unprecedented gravy train for hundreds of for-profit corporations. A 2018 study by the Congressional Research Service found that an incredible $380 billion of the $605 billion FY2017 Pentagon base budget ended up in the coffers of corporate contractors. The portion of the “Operation and Maintenance” budget that is contracted out has grown from about 40% in 1999 to 57% of today’s much larger budget – a bigger share of a much larger pie. The largest US weapons makers have developed, lobbied for and now profit enormously from this new business model. In their book, Top Secret America, Dana Priest and William Arkin revealed how General Dynamics, founded and headed for most of its history by Barack Obama’s patrons, the Crown family of Chicago, has exploited this outsourcing surge to become the largest supplier of IT services to the US government. Such a strategy would have to start from a clear-eyed analysis of the 67%, or $278 billion per year, inflation-adjusted increase in military spending between 1998 and 2019. – How much of this increase is the result of US leaders’ decisions to wage disastrous wars in Afghanistan, Iraq, Pakistan, Somalia, Libya, Syria and Yemen? – And how much is the result of military-industrial interests leveraging this state of war to cash in on wish-lists of expensive new warships, warplanes and other weapons systems and the corrupt gravy train of corporate outsourcing I have already described? The bipartisan 2010 Sustainable Defense Task Force convened by Congressman Barney Frank in 2010 answered these questions for the period 2001-2010, concluding that only 43% of military spending increases were related to the wars US forces were actually fighting, while 57% were not related to current wars. Since 2010, while the US has continued and even expanded its air wars and covert operations, it has brought home most of its occupation forces from Afghanistan and Iraq, handing over bases and ground combat operations to local proxy forces. The FY2010 Pentagon budget was $801.5 billion, only a few billion shy of Bush’s $806 billion FY2008 budget, a post-WW II record. But in 2019, US military spending is only $106 billion (or 13%) lower than in 2010. So large amounts of money can be cut from the military budget just by seriously applying the discipline on which the military prides itself to the way it spends our country’s money. The Pentagon has already determined it should close 22% of its military bases in the US and around the world, but the trillions of dollars with which Trump and Congress keep flooding its accounts have persuaded it to put off closing hundreds of redundant bases. But reforming US military and foreign policy requires more than just closing redundant bases and fighting rampant waste, fraud and abuse. After 20 years of war, it is way past time to admit that the aggressive militarism that the US adopted to exploit its position as a “sole superpower” after the end of the Cold War, and then to respond to the crimes of September 11th, has been a catastrophic and bloody failure, making the world much more dangerous without making Americans any safer. So the US also faces an urgent foreign policy imperative for a new commitment to international cooperation, diplomacy and the rule of international law. The US’s illegal reliance on the threat and use of force as our country’s main foreign policy tool is a greater threat to the whole world than any of the countries the US has attacked since 2001 ever were to the United States. So the very existence of this war machine and the rationales conjured up to justify it become self-fulfilling, leading to the dangerous illusion that the US can and therefore should try to impose its political will by force on other countries and people around the world. So what would an alternative, progressive US foreign policy look like? If the United States were to comply with the renunciation of war as an “instrument of national policy” in the 1928 Kellogg-Briand Pact and the prohibition against the threat or use of force in the UN Charter, what kind of Department of Defense would we actually need? The answer is self-evident: a Department of Defense. If the US was committed to serious diplomacy with Russia, China and other nuclear-armed nations to gradually dismantle our nuclear arsenals, as they already agreed to in the Nuclear Nonproliferation Treaty (NPT), how quickly could the US join the 2017 Treaty on the Prohibition of Nuclear Weapons (TPNW), to eliminate the greatest existential threat facing us all? This answer is also self-evident: the sooner the better. Once we no longer wield our military forces and weapons to threaten illegal aggression against other countries, which of our budget-busting weapons systems can we manufacture and maintain in much smaller numbers? And which can we do without altogether? These questions would require some detailed and hard-nosed analysis, but they must be asked — and answered. Reversing the creeping militarization of US relations with Africa and Latin America. Reform the military healthcare system. So how much more could we cut from the bloated military budget in the context of serious progressive reforms to US foreign policy and a new commitment to the rule of international law? 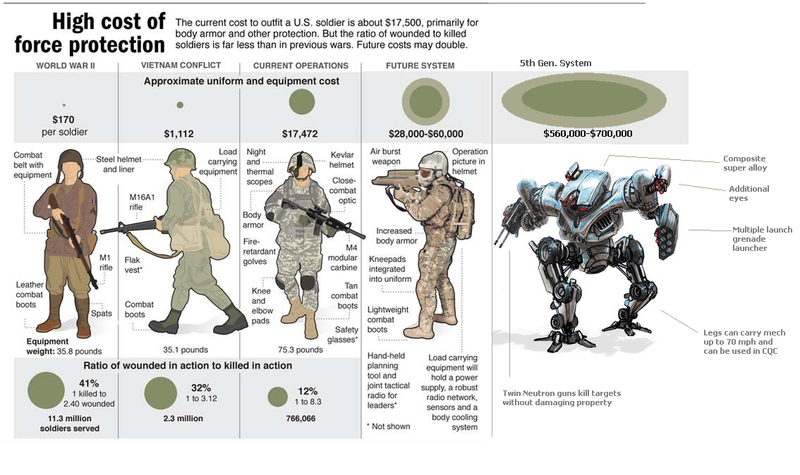 The US has designed and built a war machine to threaten and conduct offensive military operations anywhere in the world. It responds to crises, wherever they are and including ones it created itself, by declaring that “all options are on the table,” including the threat of military force. That is an illegal threat, in violation of the UN Charter’s prohibition against the threat or use of force. One country trying to impose its will on countries and people all over the world by the threat and use of force is not the rule of law — it is imperialism. Progressive policymakers and politicians should insist that the United States must live by the binding rules of international law that previous generations of US leaders and statesmen have agreed to and by which we judge other countries’ behavior. As our recent history demonstrates, the alternative is a predictable downward slide into the law of the jungle, with ever-proliferating violence and chaos in country after country. First of all, eliminating our nuclear arsenal through multilateral treaties and disarmament agreements is not just possible. It is essential. Next, how many “big-deck” nuclear-powered aircraft carriers will we need to defend our own shores, play a cooperative role in keeping the world’s shipping lanes safe and take part in legitimate UN peacekeeping missions? The answer to this question is the number we should keep and maintain, even if it is zero. The same hard-nosed analysis must be applied to each element in the military budget, from closing bases to buying more of existing or new weapons systems. The answers to all these questions must be based on our country’s legitimate defense needs, not on any US politician or general’s ambitions to “win” illegal wars or bend other countries to their will by economic warfare and “all options are on the table” threats. This reform of US foreign and defense policy should be conducted with one eye on a transcript of President Eisenhower’s farewell speech. We must not allow the vital transformation of the US war machine into a legitimate Department of Defense to be controlled or corrupted by the “unwarranted influence” of the Military-Industrial Complex. A legitimate Department of Defense should provide the United States with better foreign policy outcomes for no more than half the cost of our current budget-busting war machine. 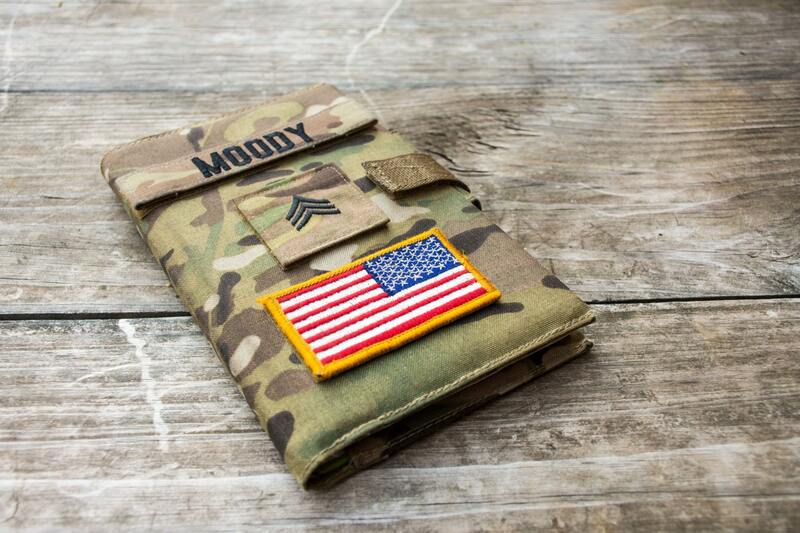 Every Member of Congress should therefore vote against final passage of the wasteful, corrupt and dangerous FY2020 military budget. And as part of a progressive and legitimate reform of US foreign and defense policy, the next President of the United States, whoever he or she may be, must make it a national priority to cut US military spending by at least 50%. Nicolas J S Davies is the author of Blood On Our hands: The American Invasion and Destruction of Iraq, and of the chapter on “Obama At War” in Grading the 44th President. He is a researcher for CODEPINK: Women For Peace, and a freelance writer whose work has been widely published by independent, non-corporate media. WASHINGTON, DC (April 14, 2019) —We are in an uphill battle to stop the Pentagon from gobbling up all our resources, and we need your help to fight back. Donald Trump’s team proposed increasing Pentagon spending to an inexplicable, mind-boggling 750 BILLION DOLLARS next year. And this came just weeks after he dipped into the Pentagon’s overflowing coffers to build his racist, unnecessary, hugely expensive border wall in an unconstitutional power grab. Instead of opposing this absurd proposal, House Democrats “countered” by offering 733 BILLION DOLLARS to the Pentagon — a figure Trump’s Republican Congressional allies have called for — continuing to make funding for the war machine a priority. Democrats control the House, which means they control the purse-strings, so why on earth would they give Trump exactly what he wants?! And that’s why it’s a HUGE deal that last week, an unheard-of rebellion in the Democratic caucus, led by progressives, beat back the obscene budget proposal. We cracked the door open for the fight to come and showed that we won’t stay quiet for political expediency. And it wouldn’t have happened without progressives like you making a ruckus. But this is only the beginning and it’s going to be a uphill battle to prevent the Pentagon from gobbling up all our resources, so we need your help to fight back. “Last week, we asked House Democrats to scrap their budget proposal which would have thrown even more money at the Pentagon’s already overflowing coffers at the expense of investing in our communities and in solutions to real global challenges like climate change. “We were encouraged that House progressives agreed, and we commend House leadership for ultimately pulling the bill from consideration. “The Trump administration’s proposed $750 billion so-called defense budget is yet another disgraceful corporate giveaway that will only serve to further line the pockets of defense industry CEOs rather than making us more secure. This unprecedented spending spree at the Pentagon is based on politics and greed, not security or need. The United States already outspends the next ten countries combined (most of which are our allies). And there’s no reason to throw more money at the Pentagon amid continued waste, fraud, and abuse, and its inability to pass a financial audit. “In fact, the $750 billion proposal is so outlandish that it’s nearly $20 billion more than defense officials were originally asking for, and it’s more than $30 billion above the $716 billion figure Trump himself called ‘crazy’ as recently as last December. “While we agree with the House Democrats in their rejection of Donald Trump’s immoral and draconian budget, the solution cannot and must not be to put even more money into an already bloated and wasteful budget for the Pentagon. “House Democrats appear to be accepting at face value the absurd notion that the Pentagon needs more money, when it can’t even account for what it already spends, can’t even spend the obscene amount of money Congress already appropriates, and can’t rein in waste, fraud, and abuse. This proposal also ignores the reality that Donald Trump is using the Pentagon’s overflowing coffers to advance anti-immigrant, extremist policies including needlessly deploying thousands of U.S. military personnel to the border and building his wall. Giving Donald Trump essentially what he wants and hoping that he returns the favor is nothing more than delusion masquerading as strategy.